I brought the melanin to Mexico for my 3rd Annual #BusyAtTheBeach Getaway and we turned Cabo out! 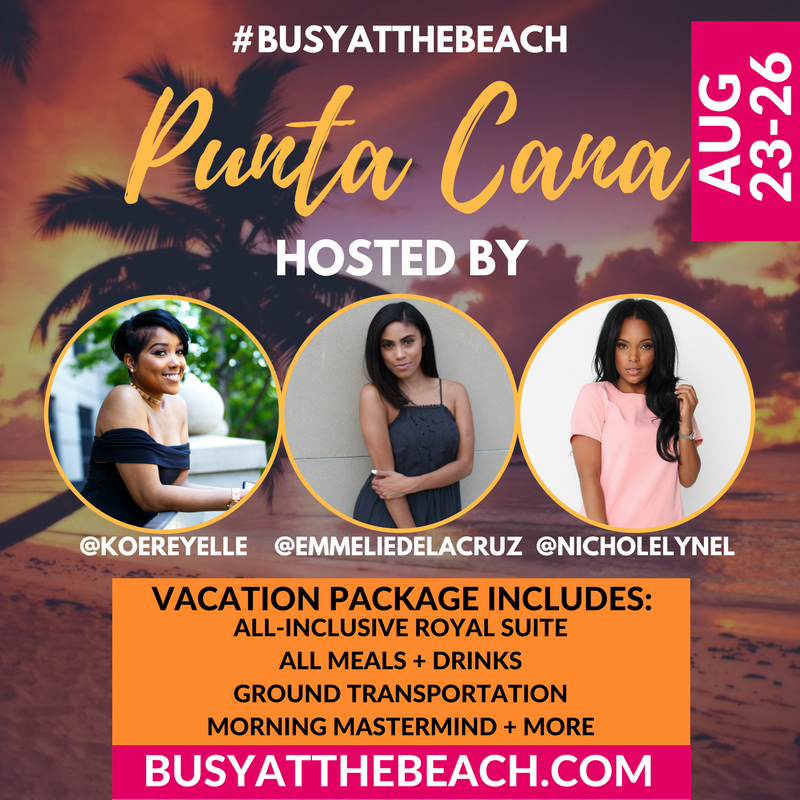 For the first time, I brought along two boss babes to co-host with me, Emmelie De La Cruz and Nichole Sanford. From day 1’s pool party to game night and the boat party, we literally did it all and Cabo don’t owe us a thing! Busy at the Beach is all about empowering women to play as hard as they WERK and take time to celebrate themselves. Women traveled from all across the county to network with like-minded ladies, get some strategy for their success and enjoy fun in the sun. If you missed this year’s getaway, be sure to secure your spot ASAP for next year’s vacay! >> Get details here.